Stop by the farm any time between the hours of 9am to 2pm on March 23, 24, 30 & 31 for our signature pancake breakfast, fresh maple product samples in the tasting room, maple donuts, tours of the sugarhouse & sugarbush, and maple beer tasting from Noble Shepherd (beer tasting starts at 11am each day). Fun, delicious and educational for the entire family! We do not take reservations** for pancakes in the barn - first come, first serve. We will have lots of overflow seating by the fire pit and two tents. Please be patient - good food takes a little time and our volunteers are working as fast as they can. If you’re in a rush, and don’t need incredible pancakes with real maple syrup in your life, you can go to Denny’s up the road. We will give you directions. 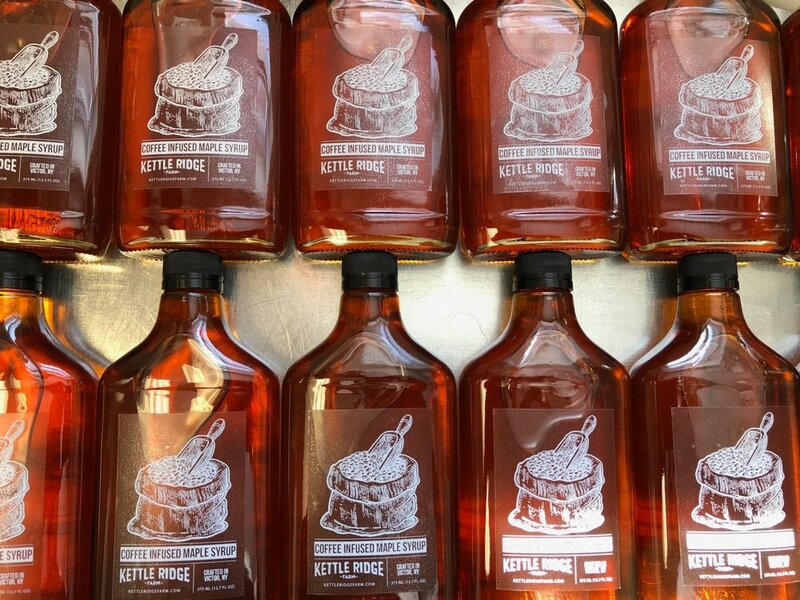 2019 will be the fourth year that Kettle Ridge Farm participates in NYS Maple Weekend. General information on Maple Weekend can be found on the NYS Maple Producers website. **We have three igloos on the farm that can be rented by the hour for Maple Weekend at $40/hr. Max of six people per igloo. Please contact Chris (chris@kettleridgefarm.com) if you are interested.